Ministers welcome plan to upgrade Intel's Kiryat Gat plant, which involves a reciprocal investment in the Israeli economy. 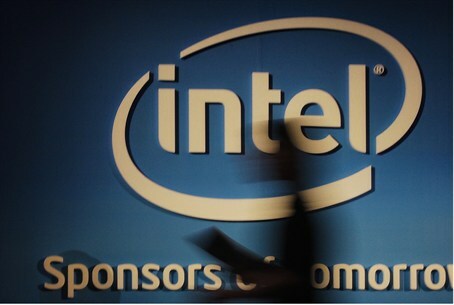 Major hi-tech and computing company Intel is investing 5-6 billion dollars to upgrade its plant in Kiryat Gat, the company announced Wednesday. The investment plan includes a deal between the company and the state, by which Intel will receive a 750 million shekel ($216,706,500) construction grant from the government in return for its commitment to invest 5% of the investment money into the Israeli economy. Prime Minister Benjamin Netanyahu welcomed the investment plan Wednesday night. "This investment plan is the result of the process we've been working on for several years," the Prime Minister stated. "Israel is the focus of global technology and the investment generates profits - both for investors and for the citizens of the State of Israel." "I call on other international companies to increase their investment in Israel, and those who have not yet taken advantage of the benefits offered by Israeli economy [I call] to come and invest here," he continued. Economics Minister Naftali Bennett (Jewish Home/Bayit Yehudi) also welcomed the news. "This is the best gift we could ask for Israel's 66th Independence Day," he stated, in a Facebook post. Israeli Independence Day (Yom Ha'atzmaut) is next week. "The is important news for the periphery, for employment, education and Israel's progress compared to [other countries] in the world." "This is an important development for Zionism and we will continue to work hard to encourage investment in Israel," he added. Finance Minister Yair Lapid (Yesh Atid) agreed. "We will continue to promote investment in industries developed in Israel, this is a vote of confidence in the Israeli economy," he said. "These investments will create thousands of jobs on the highest [social] tier and tens of thousands of jobs in the second tier, the Israeli middle class."